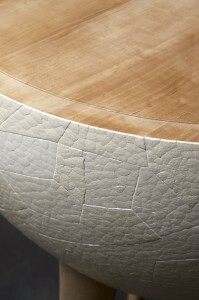 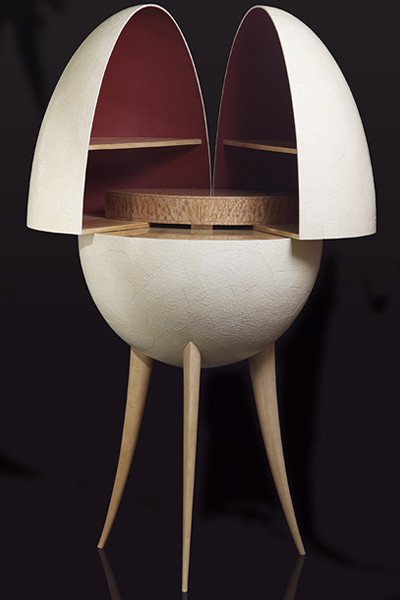 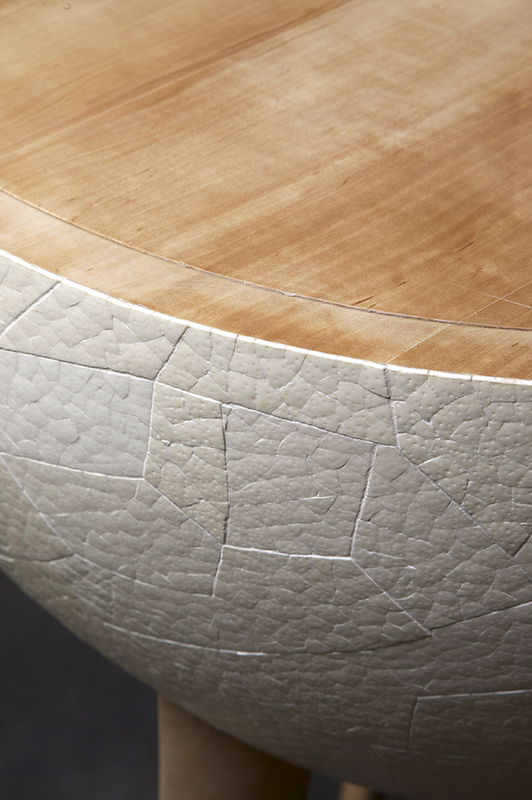 Dimensionally fascinating, Origin is mounted on three bleached pear wood feet. 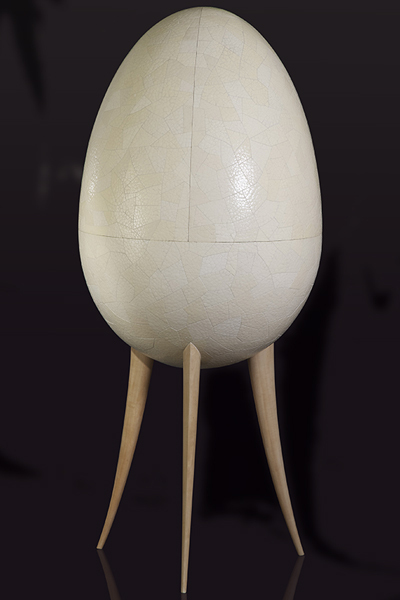 Only by moving closer can the secrets of this extraordinary egg be discovered. 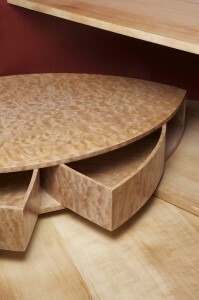 The upper section opens into two parts, revealing an interior encased in leather and veneered with dappled maple. In the centre, an oblong shape also opens, unfolding like the wings of a bird. The universal origin and fundamental purity.